I had never really been into traditional Indian outfits at the start, which is somewhat of a pity. It's painfully obvious how gorgeous Indian textiles and designs can be. While growing up, my Indian wardrobe was a handful of pieces that were squashed into the back of my cupboard that only ever came out during Diwali and sometimes for Hindu weddings. I however became appreciative of ethnic wear while I was learning about fashion. Since my projects involved researching and actually making samples of different embroidery and printing techniques used in different states in India, I had scrapbook after scrapbook filled with pages torn out of fashion magazines that had editorials with the most extravagant Indian clothing in them. I was awed and there was no going back. Of course I knew I could not wear anarkalis and lehengas on a monthly basis. I mean I could, but I didn't have any where/thing to wear them to/for. But at the same time back then, the whole fusion look which was an amalgamation of Western elements like a simple pair of blue denims with an Indian kurti was suddenly in vogue and now is literally a wardrobe basic and a college staple. 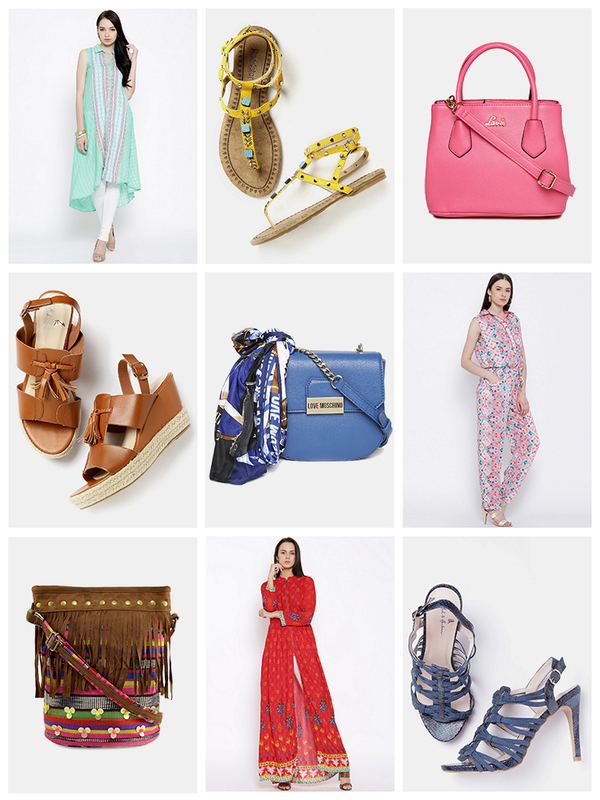 Cut to 2016, where Indian fusion now runs parallel with the Bohemian trend and have paved the way for Western silhouettes like dresses and jumpsuits which are Indianized with ethnic prints and textiles. 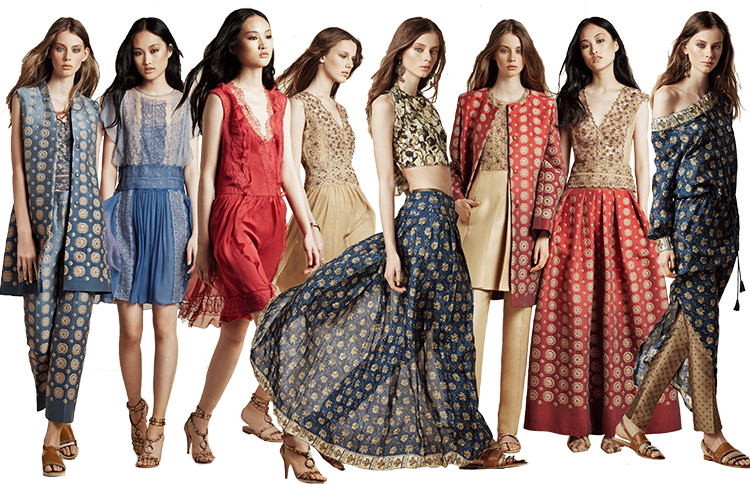 International labels like Alberta Ferretti, Etro, Valentino and Anna Sui are heavily inspired by traditional patterns, prints and embroideries from various countries, including India. Closer to home, Indian brands like Biba have been putting out their own creations based on the trending fashion industry and ethnic wear is not such a mind boggler anymore. Kurtis have gotten fancier and longer and come in various cuts to flatter all body types. Shirt dresses, vests, palazzos and culottes are identified as wardrobe basics. 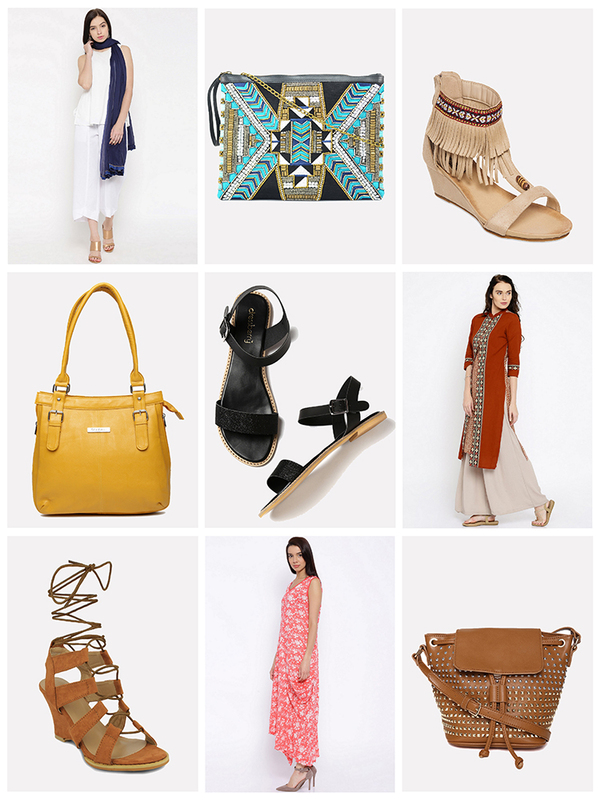 What I love most about Indian separates is the versatility of each piece. A plain kurta can be paired with denims for a casual look that's perfect for running errands or a can be worn with a skirt for a chicer look that can be worn to the office and sometimes a pair of cropped printed pants for a more fashion forward look. Since the possibilities are almost endless, I decided to pick a few pieces that I liked and styled them as I would. So here's my own mini version of ethnic Sudoku; one outfit that can be changed around with different accessories. Follow my mini grid vertically and horizontally to find a look that you might like. This blog is enough to inform about ethnic wears. 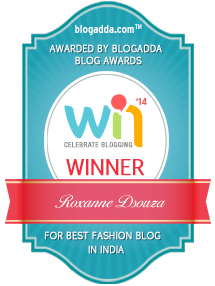 Happy to see this blog now i know all things about current fashion.